Cadbury 5Star, Cadbury's newest chocolate-y delight is out to conquer the world with its velvety chocolate, gooey caramel, soft chocolate-y center, and crispy biscuit bits. 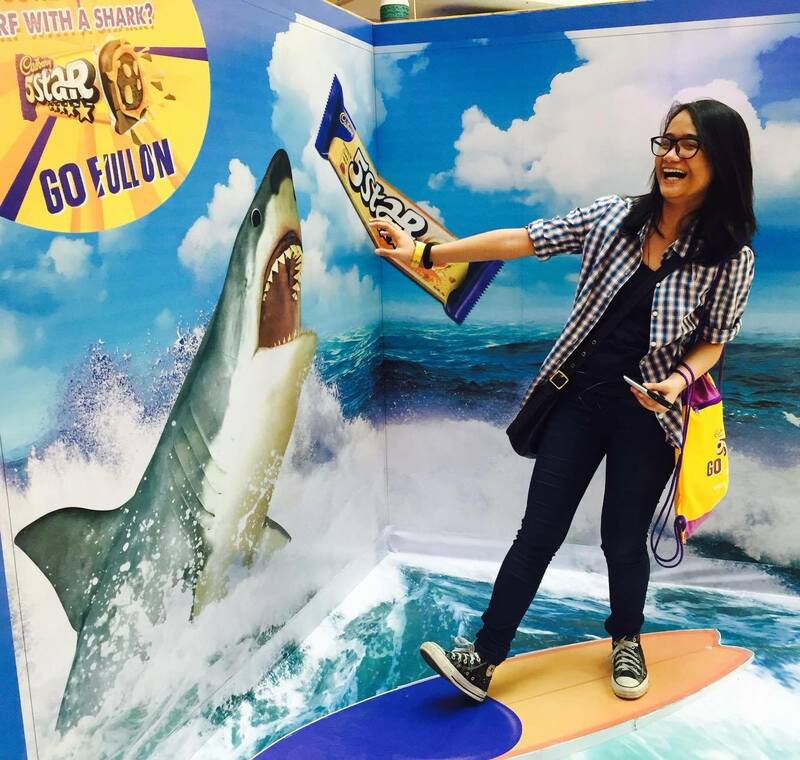 Of course, Cadbury 5Star is far from boring, right? Also, having a bite of this chocolate will make you want to break out from your comfort zone like what happened to me and my daughter. 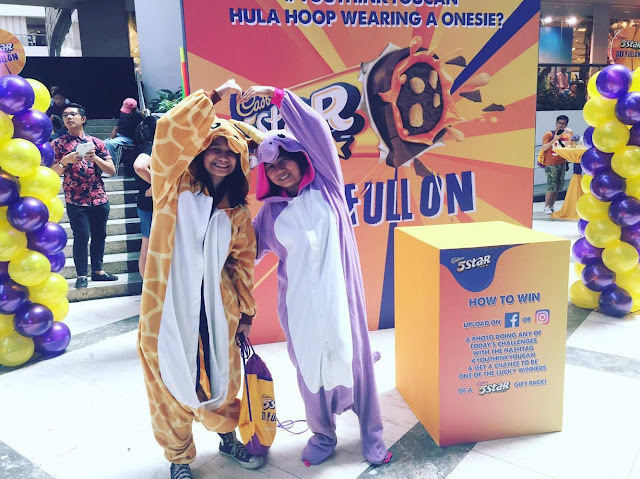 We suddenly realized that we are meant to be a giraffe and a unicorn! Arisse de Santos just had a chocolate-y breakthrough as she challenged this guy to a game of arm-wrestling. Guess who won? 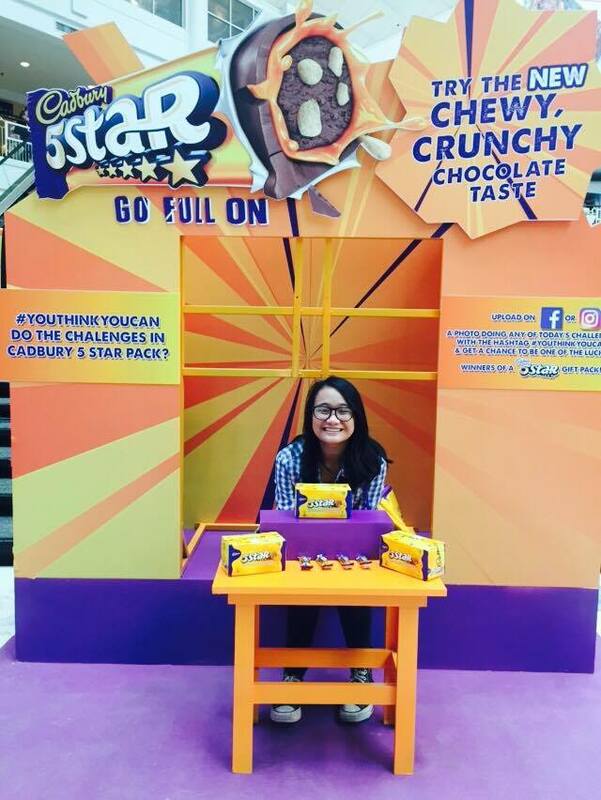 Arisse is one of the three brand ambassadors of Cadbury 5Star chocolate. She is a lifestyle blogger who loves fashion and travel. Other brand ambassadors are: Alex Diaz, a commercial model and radio jock. He has both Filipino and Scottish ancestry. His first few stint as an actor landed him supporting roles in high-rating teleseryes. Given his success, he doesn't let it affect his enthusiasm about work and instead aim to give his best and do more in the entertainment industry. 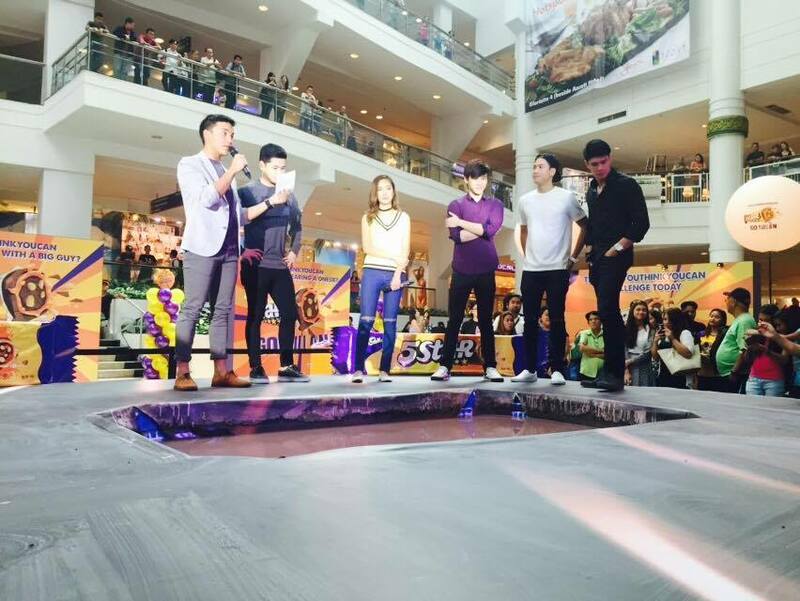 Robi Domingo completes the trio of Cadbury 5Star brand ambassadors. 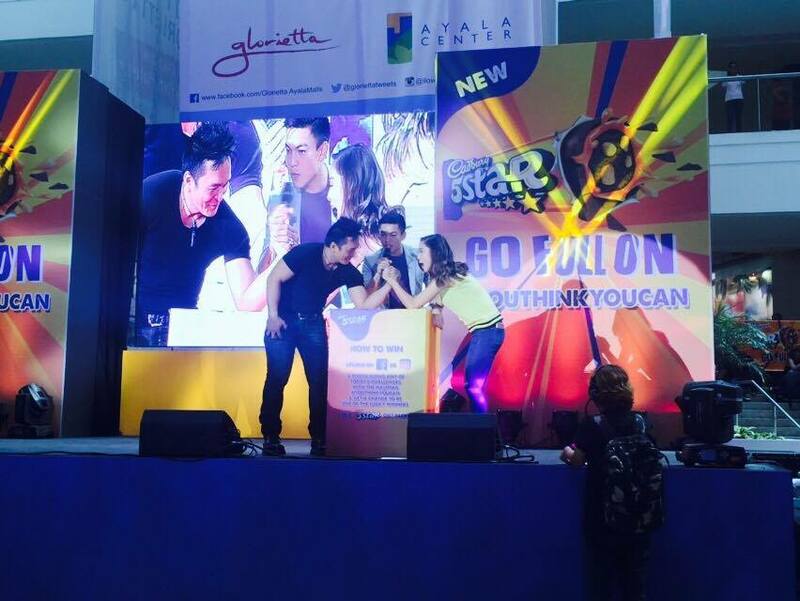 Aside from being a tv host, he was also the runner-up winner of Pinoy Big Brother Teen Edition 2008. He was all set to become a doctor but hosting offers came so here he is now. Hopefully though, he gets to pursue his medical career.